Running is great exercise, but runners are also prone to injury. Learn about these common running injuries. If you’ve been sore while running, it’s possible you have one of these common running injuries. 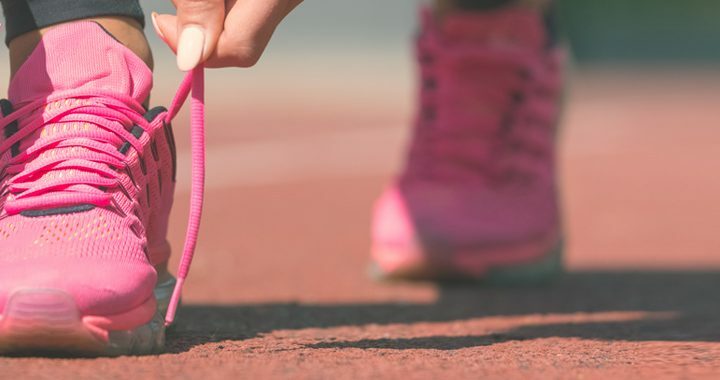 Learning the proper way to run and wearing the right running shoes can make all the difference when it comes to protecting your body. Take care to prevent sidetracking your running due to one of the following injuries. To prevent Achilles tendonitis, strengthen your ankle’s tendons. That way they won’t become tight or irritated from running. A good strengthening exercise for the tendon is to repeatedly stand and lower yourself on the balls of your feet. Blisters are little sacks of fluid that form on your skin. They’re by the friction of your feet, socks and shoes while running. Though blisters are minor, they feel uncomfortable when you run. Prevent blisters by wearing a double layer of socks when running. Apply petroleum jelly on the areas where you might get blisters. Running can cause pain in your hips. Hip bursitis is an inflammation of ligaments that causes burning or a popping sensation during or after running. It often occurs in the hips. You can reduce your risk of injuring your hips by doing strengthening exercises. A stress fracture is a tiny crack in a bone of your shin or feet. If you continue running with a fracture, it can lead to serious problems. To prevent fractures, try avoiding uneven or rough surfaces when you’re running. Taking calcium and vitamin D can also help keep your bones strong. Sudden pain in the muscles in the backs of your thighs may mean you may have a pulled hamstring. A pulled hamstring needs months of rest to heal. Prevent a pulled hamstring and other leg muscle strains by doing a strengthening exercise called the bridge. Lie on your back with your knees bent. Push your hips up using the force of your feet up to create a bridge. Hold the position briefly and come down. Repeat a few times. Plantar fasciitis is heel pain that hurts even when you’re lying down. It’s one of the most common running injuries for the foot. Plantar fasciitis may happen if you have high or low foot arches. The best prevention is to wear the right supportive footwear when running and when you’re not exercising. To further prevent this painful condition, stretch your feet and calves any time you get the chance. Running can damage the cartilage around your knees. This causes pain when you move. It’s called a runner’s knee when you injure the cartilage under your kneecap. Another runner’s knee injury — called IT band syndrome — causes pain on the outside of your knee. To prevent either injury, run on soft surfaces to reduce the stress on your knees. Runners often get shin splints — an injury that causes pain that runs down the front of your lower leg. It can happen after running longer distances or for too long. Prevent shin splits by gradually increasing your running time. Run in short strides. Land on your mid-foot to avoid shin splints. Sprained ankles are common, especially if you accidentally twist your foot when you’re running. Avoid tearing ligaments by stretching your ankles. Every day, rotate them in a circular motion in each direction several times. Keep your knees and ankles strong and healthy so you can enjoy running. If you think you have one of these common running injuries, we’re here to help. Find a doctor near you today.